Back in the mid 90s I started a website called Archive Digital . During this time the concept of digital photography and video was really starting to take off. I bought a fairly high end 8 megapixel digital SLR camera for a whopping $1500 and shot pictures until my heart was content. What I quickly realized though was that all those great photos could disappear in a second if my computer or hard drive failed (and it did). So, I set out to educate myself and others on the dangers of shooting digital photos and not having a reliable system for backing them up. I researched and reviewed the best CDs and DVDs for long term backup and recommended that you keep multiple copies. I setup software that would copy and store my photos on multiple external hard drives. At one point I even thought about creating an online system that could store digital content but at the time it was beyond my means to even consider it. Then the concept of ‘The Cloud‘ entered the picture and all my efforts seemed like a massive waste of time. Almost overnight services started popping up just like the one that I envisioned. You could easily backup your files online and trust that they’d never be lost. The Cloud is essentially a large amount of networked/shared computers that store files. If one dies, the other computers store the data too and things just keep on keepin’ on without a hiccup. Many services even have multiple locations so that if one location was bombed (in theory) your files would be safe and sound somewhere in a mountain across the country. The dream had been realized. 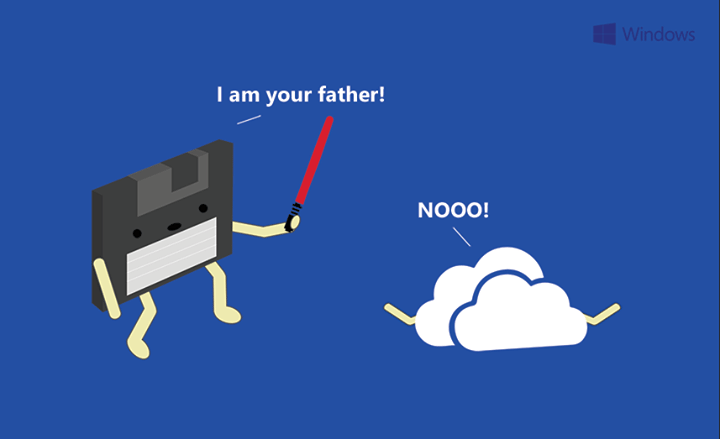 I tried several cloud services over the years like Carbonite (I still have files there somewhere) and Flickr for my photos. All were good but ultimately there was always something missing. The software was not reliable, the interfaces were hard to work with, uploading files and images was tedious. In the case of Flickr you could only upload around 100 files at one time. Ultimately you’d have errors, or the kids would unplug the computer and stop the upload, etc. I’d literally have gigabytes of photos just sitting on my computer just waiting to be annihilated because I just didn’t have time to upload everything! You may have heard of Dropbox. It has become the industry standard in cloud backups in my opinion and everything (and I mean everything) about the service is great. From the fact that it continually stores and restores your files to the hundreds of ways it can be integrated into your everyday life, you will never run out of ways to take advantage of this Cloud-based storage system. For example, after Dropbox is installed on your computer and syncing your files, you will find that once your smartphone is connected via USB Dropbox will immediate prompt you to backup images and videos from your device to your folders. Brilliant! Simple! Oh, you do not plug in your phone to your computer all that often? Consider installing their device from the iOS or Google Play stores in order to automatically back up your phone’s photos as you capture them. And no, you will not have to issue a manual sync of any kind to their server — it’s all done in the background, both immediately and automatically. This feature alone is incredibly practical! Take a picture on your phone before it is automatically stored in your Cloud folder and then access and edit that image on your iPad, laptop or desktop computer.